*Note: Most of the sites, stores or shopping portals listed above sell Elite Fitness TredX 1.5 Treadmill with discounts and other exciting offers. 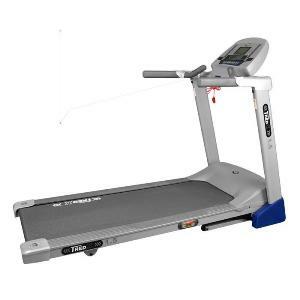 There is a possibility that the some of above websites are not selling Elite Fitness TredX 1.5 Treadmill now. Toughtrain.com is not liable for such cases or instances. Also we do not recommend any seller for Elite Fitness TredX 1.5 Treadmill and a buyer should buy from where he/she gets best deal with quality of products, service and on time delivery (shipment). This machine has been bought nearly 8 or 9 years ago, it has been hardly used, and always kept it in a closed room. Just recently tried to used the machine, I’ve connected to the power and nothing appeared on the screen. When I touch the power, start or any other buttons, there was beeping sound and nothing else. There was nothing that come up on the screen, it stayed Black. Also I have also noticed that there is a key slot located under the main screen, in-between the handle bars.This looks like to me might be an electronic keys that is needed for this slot or for it to work. which I have misplaced the slot key sadly. Could you please help me to understand what could be the wrong with the machine?